CINCINNATI, Oh (February 20, 2013) – Apex Chiropractic & Wellness Center now offers a holistic approach to help people manage the challenges associated with ADHD. Apex Chiropractic & Wellness Center is a Certified “SHINE for Doctors: Special Help for Integrating Neurological Experience” practice that combines ADHD Expertise, Chiropractic alignment, Neurological assessment with Exercise and Nutrition counseling. ADHD is typically characterized by impulsivity, inattentiveness, and hyperactivity – characteristics that make it hard for those with this trait to reach their highest potential. Dr. Hallowell considers ADHD to be a trait, not a disability. When managed effectively, those with ADHD have accomplished extraordinary successes, but if undiagnosed or untreated, ADHD can wreck lives. Recent studies indicate that the use of medication to help manage ADHD is on the rise, however, many people with ADHD prefer a holistic, alternative approach and are already familiar with Dr. Hallowell and his NY Times best selling book, Delivered from Distraction. Dr. Jahnke will combine Dr. Hallowell’s strengths-based approach by first identifying the unique gifts inherent in everyone, and then tailoring their proven chiropractic techniques to help the person with ADHD achieve their full potential. 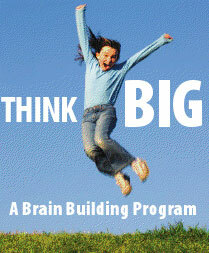 More information on the SHINE program can found at http://www.drhallowell.com/add-adhd/ shine-for-doctors-chiropractors-near-you/. Apex Chiropractic & Wellness Center, offers non-invasive chiropractic care that not only provides pain relief, but also offers wellness based care which can help to improve your overall health and prevent future issues from occurring.